Social media has quickly become part of the fabric of our daily lives, and as we have flocked to it, so have most companies and organisations from every sector and industry. It is now the place to attract and sustain our attention. But how is it a new marketing activity and how is it similar to previous practice and customer behaviour? Does it require new modes of thinking about human networks and communications or do the existing conceptual models still apply? This book offers a critical evaluation of the theoretical frameworks that can be used to explain and utilise social media, and applies them to fun real-life examples and case studies from a range of industries, companies and countries. These include Unilever, Snickers, American Express, Volkswagen and Amnesty International, and span campaigns run across different platforms in countries such as China, Canada, Sweden and Singapore. Readers are invited to think about the different types of social media users and explore topics such as brand loyalty, co-creation, marketing strategy, measurement, mobile platforms, privacy and ethics. 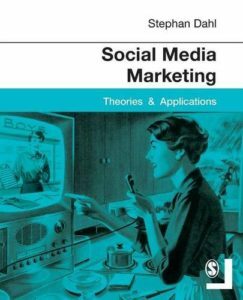 As well as tracing the emergence and trends of Web 2.0 and what they mean for marketing, the book also considers the future for social media marketing. Discussion questions and further reading are provided throughout, and the book is accompanied by a companion website for lecturers and students. Also more additional material, such as updated case studies, relevant research reviews and more will be available from this blog soon!